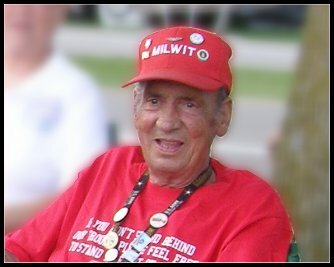 Our MILWIT family lost a longtime active member, Tommy Raymond Dale, 75, of Taylorville, Illinois. He was born in Straven, Alabama, the son of Robert Lee and Myrtle Jane (Cohoon) Dale. Tommy was a retired Master Sargent in the U.S. Air Force. He is survived by his wife Sharon, sons Walter (Barbara) and Tommy (Lori), daughters Tina (Douglas) and Luminita (Eugene), seven grandchildren, and fifteen nieces and nephews. Visitation will be Monday, October 6 from 6 to 8 pm at Sutton Memorial Home, Taylorville. Burial will be in Camp Butler National Cemetery, Springfield, at 2 pm Tuesday, October 7. Tommy was a member of VFW Post 4495, American Legion Post 73, and the Taylorville Kiwanis Club, all of Taylorville.